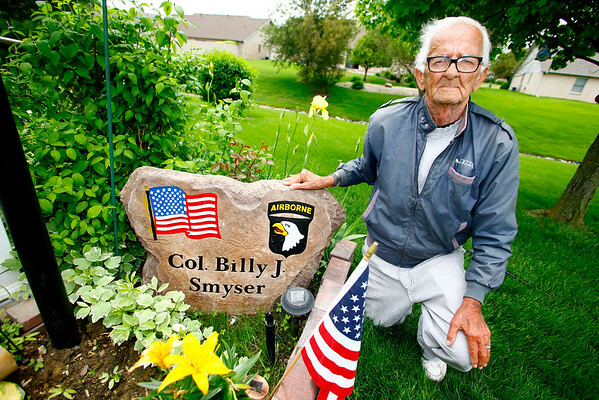 Col. Bill Smyser with the large rock monument commemorating his military experience that he used to have in his front yard on May 14, 2015. The homeowner's association promptly asked him to remove it. He is now fighting the association.